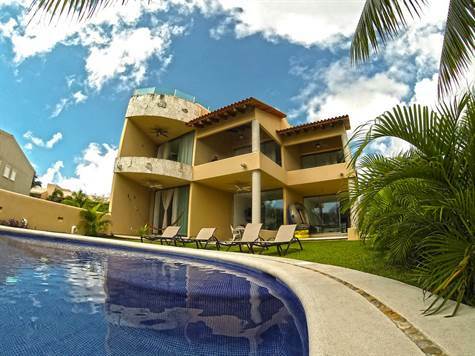 Gran Bellmar is a building of 6 condos, all facing the lovely lagoon of Puerto Aventuras. There are 3 ground floor condo and 3 penthouse with private roof garden. All the condos have two bedroom and two bathroom. Interior sqft varied between 1400 till 1592 for the penthouse, the roof garden is 494 sqft. Prices are starting from 198,000 us till 260,000 us for the biggest penthouse. It has a great price for facing the water and being very close to the beach.